Our submission for Kiwijam16, now at least 50% functional! As of right now only half the game is working and that's where this version of the game is going to have to end. We weren't able to get it all finished for kiwijam 16 due to time limits and a lot of stuff we did finish you can't use because of the lack of UI. All we've done since the jam ended is add a lot of new graphics and remove some bugs, but that isn't enough. 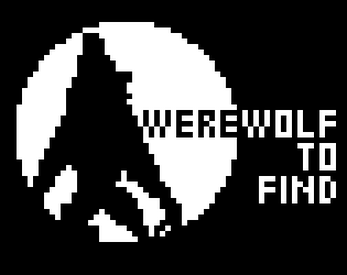 Extract the Zip file and run "Werewolf to Find.exe"